Dreading Spring Allergies? Dry Foam Carpet Cleaning to the Rescue! According to Canada's Allergy and Asthma Information Association (AAIA), up to one-quarter of all Canadians can expect major suffering when the spring allergy season rolls in during the next few weeks. Even worse, 2.5 million Canadians (12 percent of children and 8 percent of adults) will experience asthma attacks severe enough to require missing school and work. There is nothing like staring down the barrel of allergy season to make you want to say, "Enough!" Like so many allergy and asthma sufferers, you want to be able to get out and actually enjoy the fresh air and sunshine this spring! It's just that you don't know what to do to avoid getting sick again this year. In this post, we share how scheduling a professional dry foam carpet cleaning service now can help you and your family stay healthy this year to enjoy the arrival of spring. Among allergy and asthma specialists, the term “trigger” is used to describe whatever brings on your symptoms. Regardless of the type of indoor carpeting your home has, you can bet it isn't alone. Hiding deep inside the fibers are many of the irritants that conspire to make each spring such a miserable time for you health-wise. In fact, your carpeting is likely harboring pretty much every potential trigger on the list here (see previous section). Dust mites are busy meeting, snacking, mating, and reproducing. The household pet contributes hair every time she pads across or lies on the carpet or rug. Residual vapours from craft adhesives, cleaning products, candles, and smoking settle in along with all the rest. Moisture from humidity, drink spills, and the great outdoors provides the perfect climate for tiny mould spores to take root and spread. Pollen floats down from where it was clinging to your clothes and shoes. For that matter, you yourself are flaking off dead skin cells on a near-continuous basis… which just happens to be the dust mites' favourite food. With all this activity going on literally right beneath your feet, it is no wonder you can expect to log significant waking hours sneezing, sniffling, snorting, and generally staying indoors in a mistaken attempt to stay allergy free! Carpeting: Should You Keep It? In some allergy management circles, the guidance veers towards carpet replacement. And sure, that can work great for families with loads of excess disposable income (not to mention time and patience). But in most cases, families have some really good reasons even aside from budget for wanting to keep their carpeting. Carpeting is soft. It is attractive. It feels good under your feet. It is paid for. 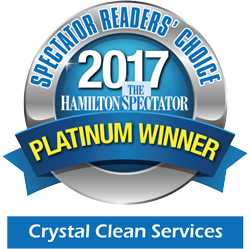 Crystal Clean Carpet Services has been cleaning clients' carpeting in the Greater Hamilton and surrounding areas for more than three decades now. In all that time, we have rarely ever seen a carpet in such disrepair that it absolutely needed to be replaced, either with new carpeting or with another alternative, such as tile or hardwoods. In fact, you have a lot to gain by keeping your existing carpet, since brand-new carpeting can emit its own brand of potentially toxic fumes ("new carpet smell") that can take a long time to dissipate. What nearly every carpet we have ever encountered typically needed was just a thorough, deep dry foam carpet cleaning. Even in the case in which a homeowner has purchased a home and inherited with it older carpeting that has clearly been neglected, we have typically been able to wow and amaze the clients with the difference a professional dry foam carpet cleaning service can make. On occasion, we have even heard the words, "I can't believe that is the same carpet!" Why Dry Foam Carpet Cleaning? Why Not Use Steam? This is the question to end all questions within the carpet cleaning industry. To cut through all the debate, if your goal is to minimize or eradicate indoor allergens, the allergy experts get the last word, and they say to avoid wet carpet cleaning services. In fact, as Patient Info points out, domestic steam cleaning typically has no effect whatsoever on dust mites, and may even make your allergies worse by increasing dust mite populations and mould growth. What can work, however, is dry foam carpet cleaning. Dust mites hate it. Mould and mildew can't withstand it. 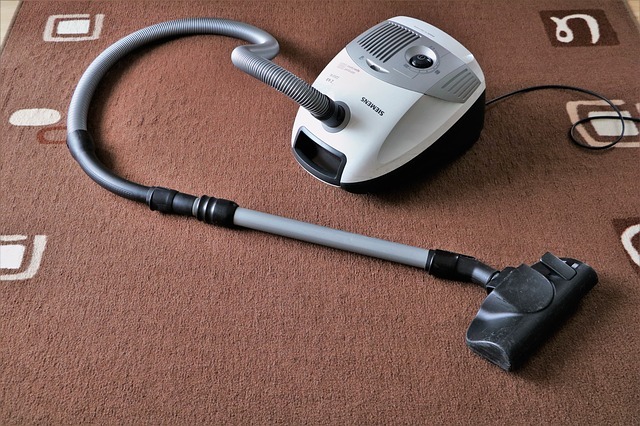 Small particulate matter such as pollen, pet dander, dirt, and bacteria don't last long in the face of the dry foam cleaning solution, which acts like thousands of tiny sticky sponges to collect anything that is not carpet to be sucked up into the turbo vacuum extractor along with all excess moisture. The final result is a dry, allergen-free, squeaky clean, new-appearing carpet that you can enjoy free and clear of allergy or asthma symptoms. Now is a perfect time to schedule your professional dry foam carpet cleaning: We are offering a special spring package deal for just $119.95! We will clean four rooms, plus 13 stairs, plus a bonus hallway for $19.99 per area. You won't find a better deal than ours—or a better time of year to schedule your service! Yes, Dry Foam Shampoo Is Safe for Kids & Pets! What if someone told you right now that your carpets are loaded with allergens and toxins that could make your pets, your kids, and you sick? You would probably want to rip up those carpets, right? This is a normal and natural response, and yet it is the same sort of response people often have to the concept of professional carpet cleaning services: aversion. "Oh, no," they think, "those professional services use such toxic chemicals. We could never do that!" But what if we told you that the cleaning products we use are just as safe as the soaps and shampoos you already have in your bathroom cabinet? And what if we said that the stuff hiding in your carpet fibers right now is more dangerous than anything we would ever use to clean them with? In this article, learn why you absolutely CAN have your indoor carpets professionally cleaned AND still provide a safe environment for your family. Here at Crystal Clean Services, we are parents too and we love our pets! This is exactly why we wouldn't use anything on your carpets that we wouldn't use in our own homes. This is also why we post full and detailed MSDS (Materials Safety Data Sheets) for each product we use—you won't find any surprises here! We want you to make your own full and informed decision that you will feel good about. Dry foam shampoo. Sodium lauryl sulphate and ethanol are the only two ingredients. Ethanol comes from the same family as rubbing alcohol—it is just in a slightly smaller molecular form. And sodium lauryl sulphate is a foaming agent that is present in most soaps and shampoos today. Pre-treatment spray. This water-based spray is organic and alkaline. We use it for spot treatment only (if you have a particularly deep or difficult stain) at your specific request. Post-treatment stain shield. This stain shield provides UV-resistance and stain protection and we use it only at your specific request. Deodorizer. This optional deodorizer contains three ingredients: fragrance, propylene glycol, and primary alcohol alkoxylate. Propylene glycol is classified as a "small organic compound" commonly used in personal care products as a skin conditioner and fragrance. Primary alcohol alkoxylate is a type of surfactant (cleaning agent) that is biodegradable. But Certainly There Must Be SOME Risks, Right? 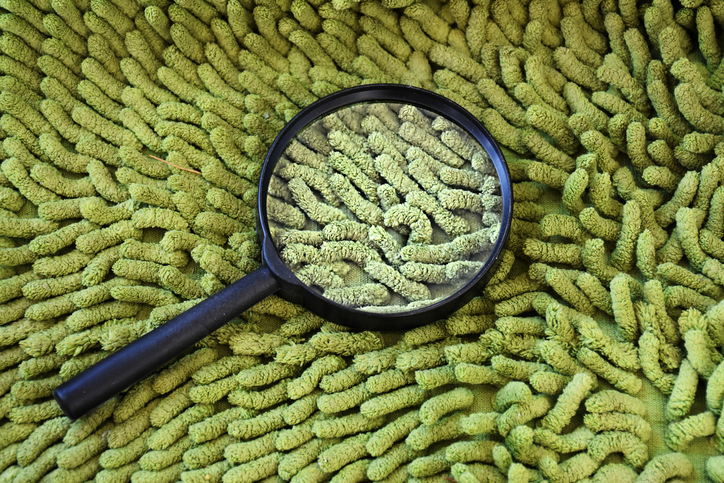 While some of the ingredients listed in the four products we may use during carpet cleanings have scary-sounding names, they are considered to be as low-risk as many of the household cleaning products and personal care products you likely already have in your house today… with one notable exception. Just as you wouldn't guzzle a bottle of hand lotion or stick a straw in a bottle of counter spray, you wouldn't want to drink or eat (or let your kids or pets drink or eat) our products. That is not what they are made for, of course. Similarly, you don't want to spray or rub them into your eyes, nose, or skin. Here, even doing this with a common all-natural cleaner like baking soda or lemon juice could do some serious damage to those delicate tissues! But we just like to mention this up front, to be sure you are aware that these products are entirely safe so long as they are used for the purposes for which they were created. What's That You Said About Allergens & Toxins in My Carpets? Oh yes. Your carpets — right now as they are — are much more toxic than anything we could possibly bring into your home to use to clean, deodorize, or protect them. Vacuum it regularly with a HEPA (high-efficiency particulate air) rated vacuum. Immediately blot up and dry any moisture spills, even water. Use only non-toxic carpet cleaners for shampooing and cleaning (and don't do the work yourself unless you are VERY confident about mixing and using the products)! Discard water-damaged or mouldy carpets, as mould, and the treatment for it, can be very toxic. Here at Crystal Clean Services, we love hardwood floors and tile as much as the next person, but truly, there is no substitute for the feel of a soft, clean carpet beneath your feet! Plus, carpet is so much nicer for infants and babies to play on and for the family pet who just wants to laze in the sun and nap. With our cleaning products, they can do those things safely. 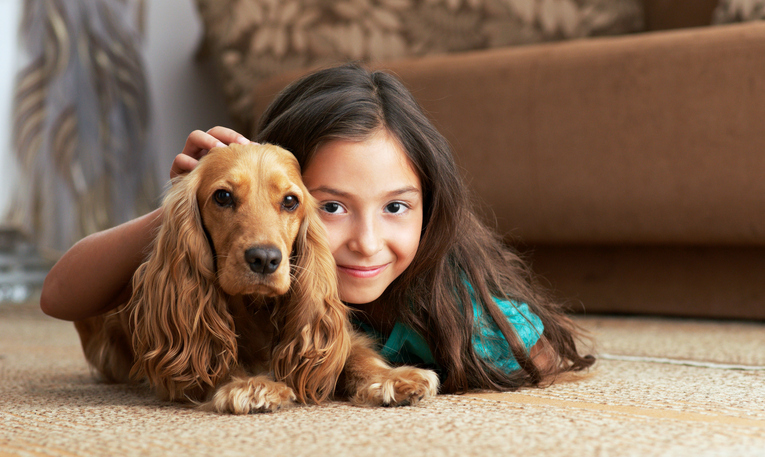 Let us help you keep your wonderful, soft, and comfy carpeting safe, clean, and healthy for your whole family to enjoy. You can visit us online to learn more and schedule your professional dry foam carpet cleaning service today!